40 years ago Galaxy Audio pioneered the personal monitor/small PA category with an innovative product called the HOT SPOT. Through the years they have offered groundbreaking powered and unpowered models. The all new redesigned Galaxy Audio PA6BT is the newest powered model, and while it has been redesigned from the ground up, they have kept the basics. The newly designed outer shell keeps the distinctive shape of the original Hot Spot, but with a 21st Century look. The cabinet now uses two specially designed speaker components, the new 155 watt NEOLITE 6.5″ Woofer and a highly efficient 1.5″ 60 watt Tweeter. This unit takes full advantage of recent innovations in speaker and amplifier technology, making it the lightest, most powerful, and best sounding compact PA system that Galaxy has ever offered. 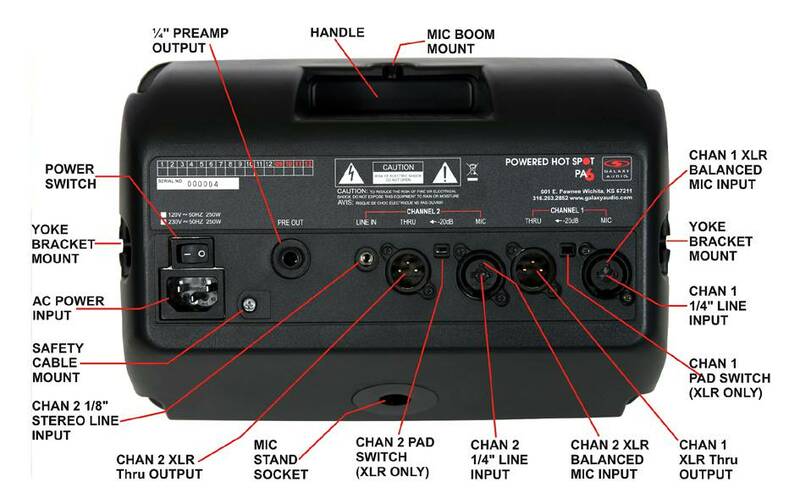 Clever new features – such as the XLR pass-through on each channel – allow independent control of mics without affecting the signal sent to the front of house PA. A -20dB Pad switch on each XLR input ensures that even the hottest signals will be accepted without overdriving the inputs. 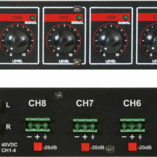 An additional 1/8” Line input on Channel 2 will accept stereo or mono signals from sources such as digital media players as well as line level instruments. The bluetooth feature allows you to wirelessly send music, for example, from your phone or tablet. The new two-way speaker system gives the PA-6BT a much wider frequency response than earlier models. This means that full range music, such as keyboards or backing tracks, will come through with solid bass and crisp highs. 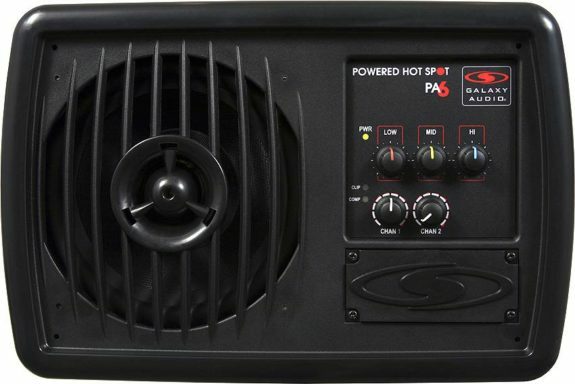 This enhanced frequency response makes it a great stand-alone PA system for small club gigs as well as lectures and A/V presentations. Plus a simple adjustment of the 3-band EQ can alter the response for singers who love the time-honored accentuated midrange of the classic Hot Spot vocal monitor. The PA-6BT gives you the best of both worlds. 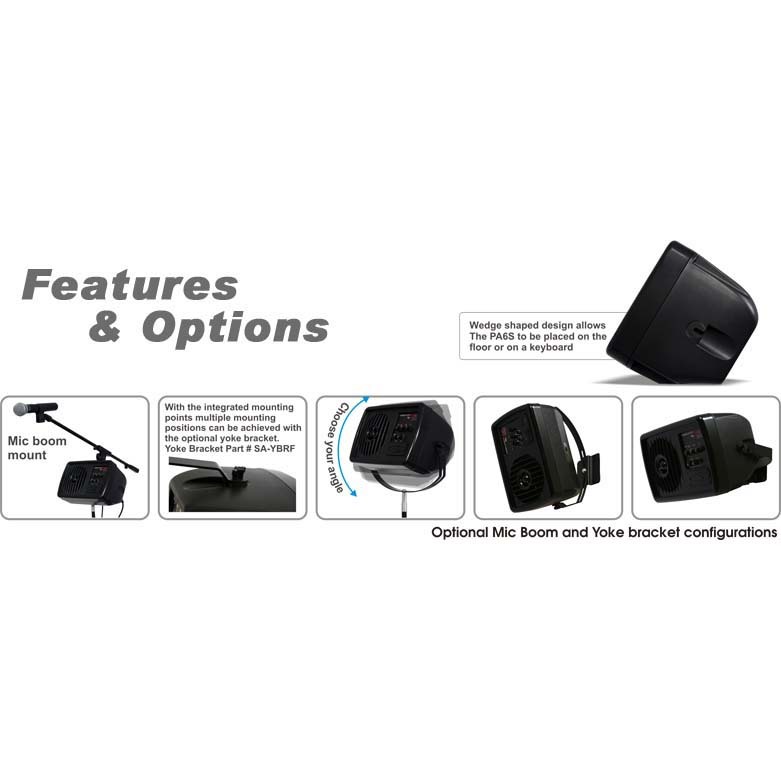 The monitor has a built in 170 watt amplifier designed to handle the most demanding audio situations. This high tech Class D amplifier produces more than enough power to cover a wide variety of applications. This design allows the PA-6BT to function both as a stand-alone PA system and as a high-powered vocal monitor able to cut through loud stage volumes with ease. For larger gigs that need more coverage, you can simply patch from the Preamp Output to the main house PA, while using the PA-6BT as your onstage monitor. 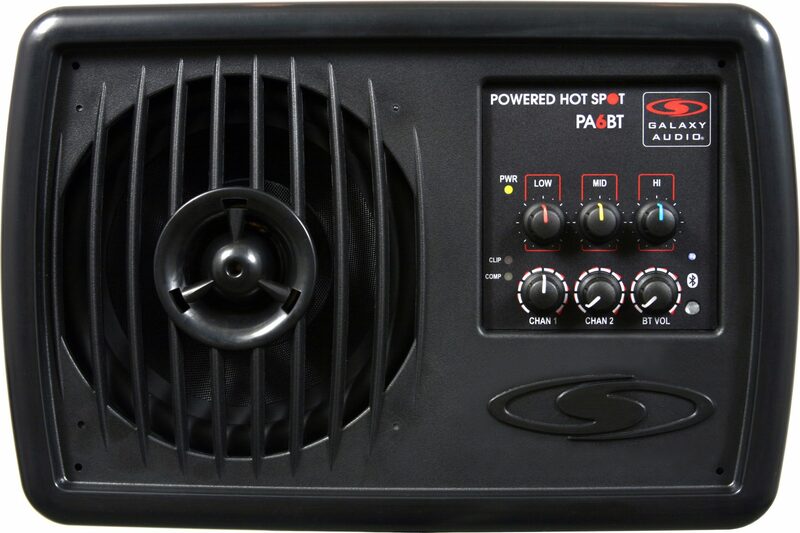 The PA-6BT also features a built in 18dB Compressor/Limiter circuit, with Compressor and Clip LED indication. The Compressor acts to smooth out transient peaks in the signals, thus improving overall sound quality and increasing apparent volume. The Limiter helps protect the woofer and tweeter from being damaged by unexpectedly high peaks. The Clip LED indicates when a reduction in volume is recommended. mounts to the top of a PA6S, PA6SR, or HS7. This adaptor allows most microphone booms to be mounted on the top of the Hot Spot to eliminate the need for two stands -one for the Hot Spot and another for the microphone and boom. 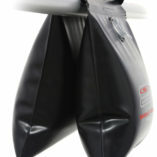 Works with 3/8″ & 1/2″ mic booms. 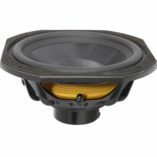 For transport, the boom may be removed from the PA6S by simply loosening the large locking knob. The mounting hardware will stay with the boom. placed on a keyboard or on the floor. 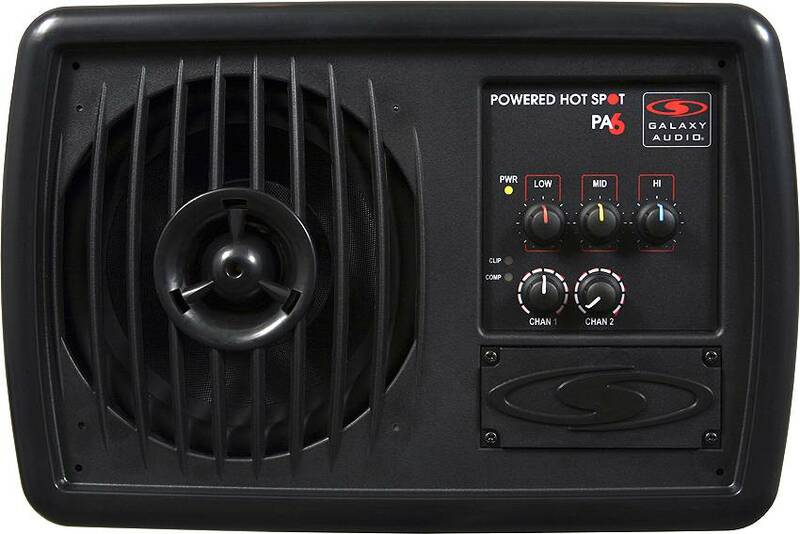 • The new design of the PA-6S includes the convenient mic stand insert on the bottom of the unit. This allows a quick setup on top of a mic stand, with the PA-6S angled upward for accurate vocal monitoring. 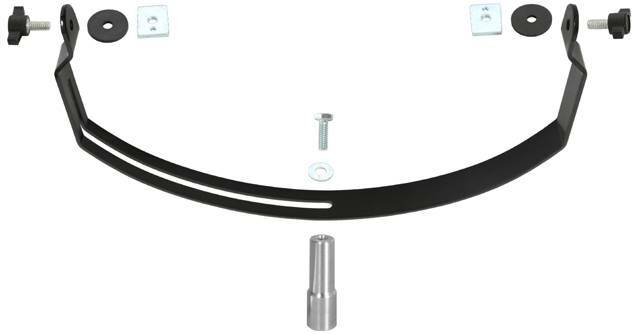 • The included mic stand adaptor insures a more stable and secure placement on any mic stand. • Molded-in yoke bracket points. 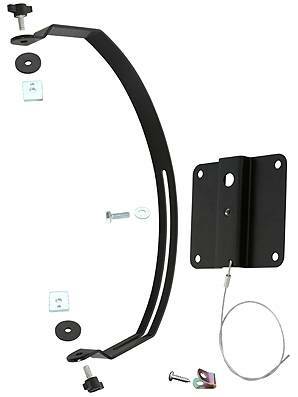 With the optional yoke bracket assembly the PA-6S can be mounted to a wall or ceiling, or attached to a mic stand and angled in any direction. • Microphone boom mount on top of the PA-6S eliminates the need for a second mic stand for your microphone (you need the optional ‘MBA’ Mic Boom Adapter). 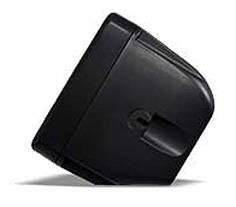 • Handle integrated into the top of the enclosure. • Built in Compressor/Limiter prevents output distortion. • -20dB pad switches on each XLR input allow high-level signals without distortion. • 3 band EQ (High, Mid, Low) to adjust the sound to the way you want to hear it. 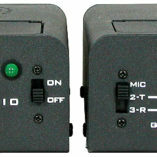 • Pass-through on each channel acts as a built in splitter to send signals to a mixer multicore or another PA-6S. • Two way speaker system: 6.5″ neodymium high power woofer and 1.5″ high efficiency Neolite tweeter offer a very wide frequency response. 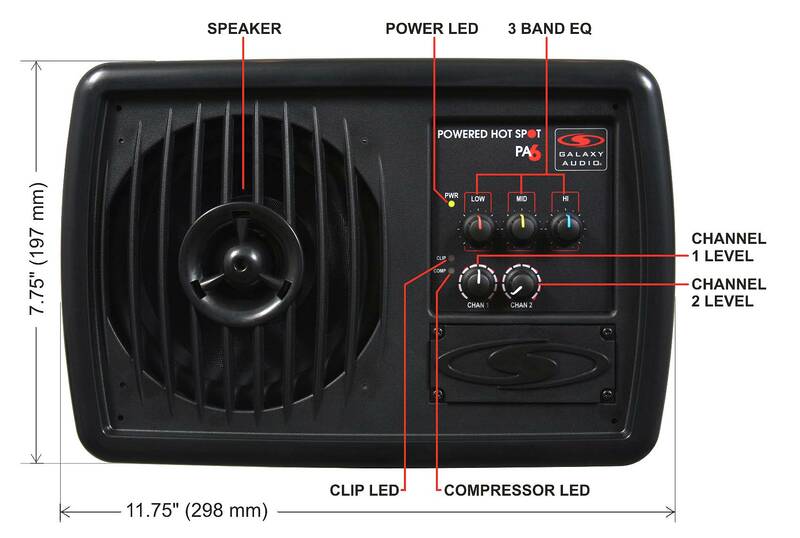 • Punchy 170 watt RMS Class D amplifier. • Lighter weight: Innovative speaker and amplifier designs actually allowed a reduction in the weight of the PA-6S from its predecessors, while also improving the performance.